When Malapascua Island is mentioned, what usually comes to mind is diving. Indeed, the Island has much to offer to anyone who wishes to see the riches of the Philippine seas. Divers flock to Malapascua Island all year round to get a glimpse of the friendly and majestic thresher sharks. Boasting with one of the clearest waters in the world, the island is a bucket list tick off for divers everywhere. But this leaves a question to couple travelers or backpackers who just want to travel and have a good time. 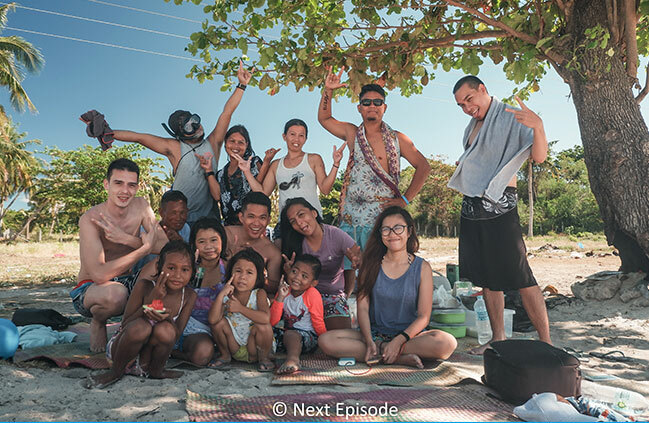 What else is there to see in Malapascua Island? If you’re like me who always travels with the boyfriend, then read on as I give you a list of what else can be done and enjoyed on the Island with your significant other. First and probably the most important part of your travel plan should be deciding where to stay. 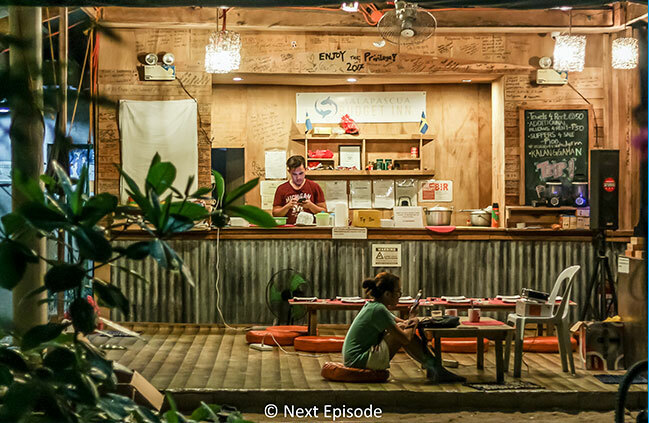 The island is packed with hostels and backpacker inns that cater to couples. We suggest staying in Malapascua Budget Inn. The hostel is affordable, the service is great, and the food is even better. If you’re fine with bunk beds, you and your hubby can stay in one of their dorm-type rooms. That is if you don’t mind sharing the room with other people. However, it’s really not that bad as you can even gain new (foreign) friends with this type of accommodation. But if you prefer some privacy, the hostel also offers deluxe bedrooms with queen-sized beds and your own bathroom. You can also stretch and chill in their Alfresco area and watch movies together with other backpackers as the hostel also provides Movie Nights with popcorn. No wonder the place is ranked as the number 1 hostel in Malapascua Island on Trip Advisor. With zero air pollution on the island, the skies are so clear at night, we could see more stars there than anywhere else in the country. 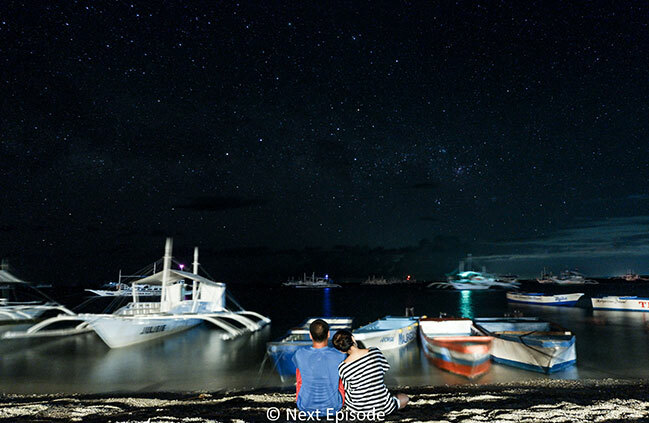 We suggest having a stroll near the shoreline at night with your camera and striking a pose with the infinite stars vividly visible in the background. It definitely makes for great galaxy captures. 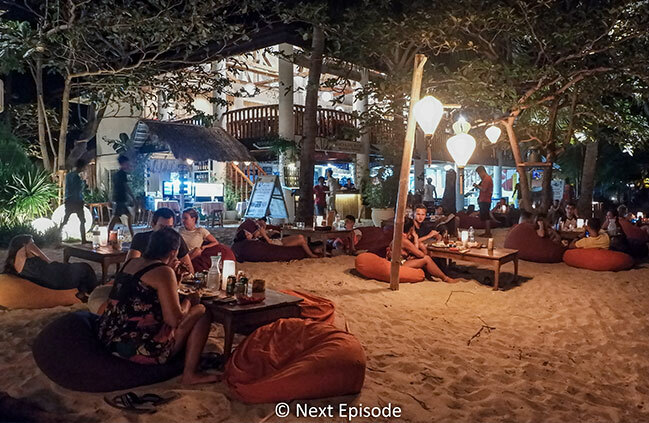 Or you can sip on pina colada in one of the bars near the shore and just enjoy each other’s company while gazing at the vast night sky. The northern part of the Island hides a peaceful, pristine area with crystal clear blue waters that just sparkle under the sun. 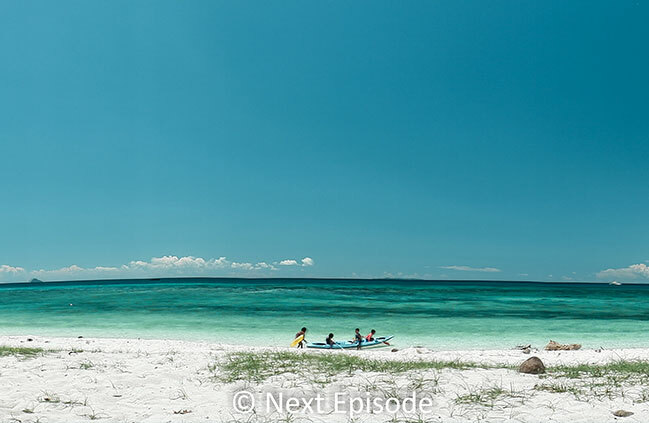 No establishments or houses have been built there so if you’re looking for some quiet quality time with your hubby, then we suggest heading over to North Beach (also known as Guimbitayan Beach) and having a picnic under one of the coconut trees. 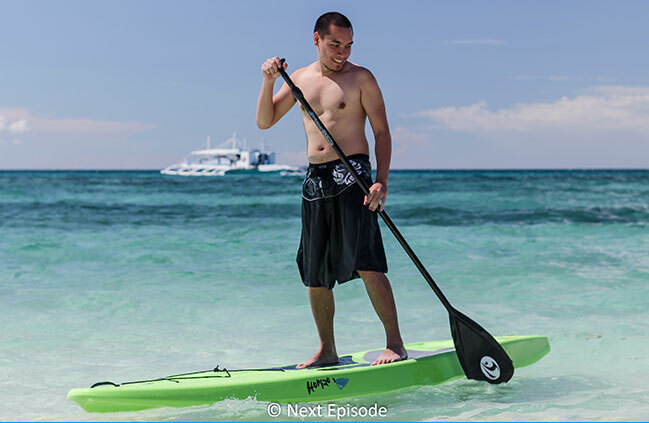 Or you can rent out a kayak or paddle board and have a little paddling contest with the hubby. Daily trips to Kalanggaman Island are offered in almost all hotels/hostels in Malapascua Island. 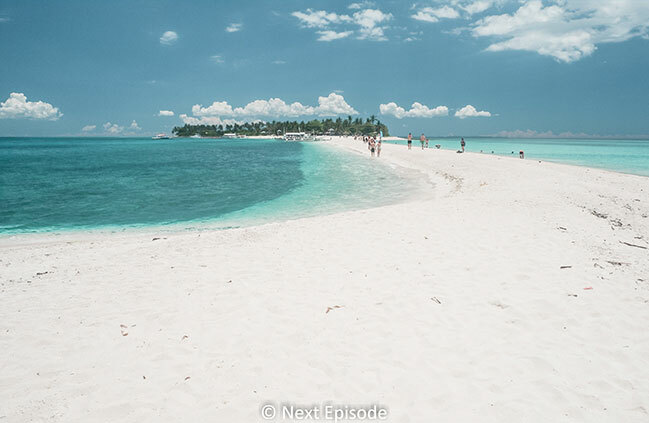 Once in Kalanggaman, you can have a picnic, enjoy some snorkling time with the boyfriend, and walk the expanse of the Island’s famous sandbar. Of course, photos should not be excluded. My boyfriend and I always take face-to-face pictures wherever we go and Kalanggaman Island was no exception. Standing under the heat of the sun just to take photos of each other was definitely worth it as the pictures all came out great. One captures the majestic blue waters surrounding the crisp white sandbar while the other holds the magnificent view of the island. If you want to explore the island, you can actually rent a bike and roam around with your hubby. If you’re not that confident with directions, you can hire a driver instead. This way, you both can enjoy the view without worrying about anything. Other activities that you can both enjoy include having massages by the beach. The hotels near the shore offer soothing massages and you can indulge in them while listening to the sound of the waves. Now that’s definitely relaxing! Or if you’re both adrenaline junkies, you can test your courage (and relationship) by doing a couple cliff jump at Lapus Lapus Cliff. Whatever it is you want to try, we’re sure that the island will keep you asking for more. There’s just so much to be discovered in this tropical paradise. 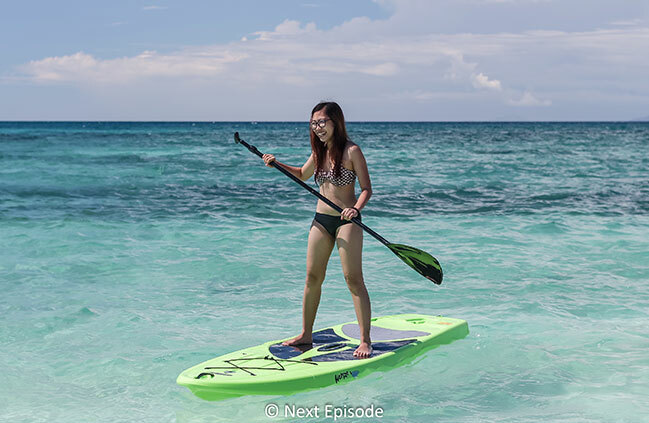 Malapascua Island is not just the ideal getaway for diving enthusiasts—it’s also a perfect destination for the adventurous couple. The island’s laid-back vibe is just right for that much-needed quality time with your partner, far away from the hustle and bustle of the fast-paced city life. 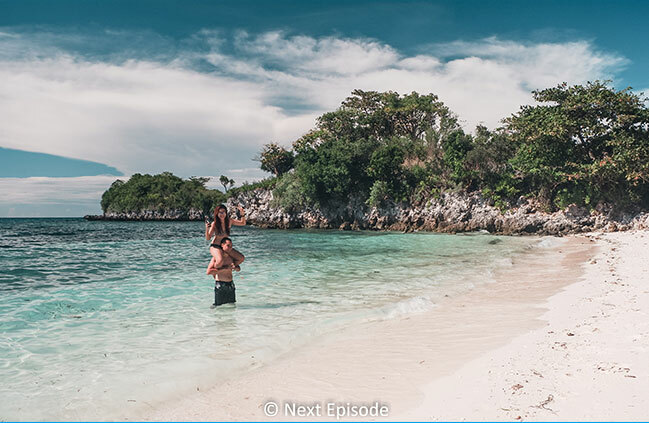 So if you’re planning on your honeymoon or on your next couple travel goals for the summer, include Malapascua Island on your list and you’re sure to go home with fun, sweet memories that will definitely last the whole year through. Our mission? To show you how it is absolutely possible to create a life of travel too (no matter the odds), and we will help you achieve that through our detailed travel guides, adventures, resources, tips, and MORE!